It is also wonderful to be used for sport massage. The natural warming effect from the herbs penetrates the skin to relax stressed muscles. It is a good tonic for the treatment of nervous orders and stress related headaches, migraines and allergies. 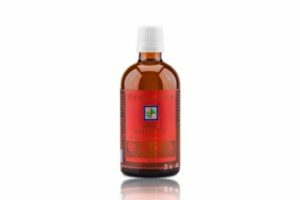 Basil massage oil is stimulating, uplifting and refreshing, this helpful in improving memory, creativity and concentration. It is light and non greasy yet able to moisturize and leave a soft silky feel to the skin. This custom blend of five cold-pressed plant oils (Grape seed, Sunflower, Jojoba, Wheat germ and Virgin Coconut oil) has a light feel, smooth glide, and terrific workability. Using Virgin Coconut oil after bathing will quickly help reestablish the skin’s natural microbial and acid barrier. It’s the perfect choice for relieving dry, rough and wrinkled skin. Help improve skin texture and help eliminate toxic waste from our body. 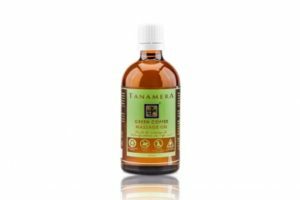 Naturally formulated with excellent grades extracts, essential oils and plant base oils, Tanamera Green Coffee massage oil will provide a simple but effective way to get a firmer and more evenly textured skin. 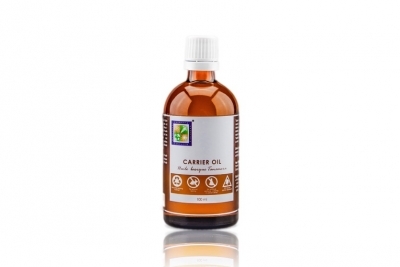 A blend of oils targeted to relieve muscle and abdominal cramps, reducing inflammation, and help with nervous exhaustion and stress related conditions.